I’m a huge film enthusiast, so I loved the assignment idea of messing with central plot points of movies. What if major events had never happened? How would this impact the rest of the movie? I find such questions inherently fascinating, so I had to try my hand at these alterations. As such, I began combing through my favorite movies, eventually settling on examining Aliens. I’ve always loved this film. In fact, it is one of the only movies where I truly think the sequel surpassed the original. But what if Ripley had never been rescued? What if she was dead when her pod was discovered? The rest of the movie would simply never have happened. 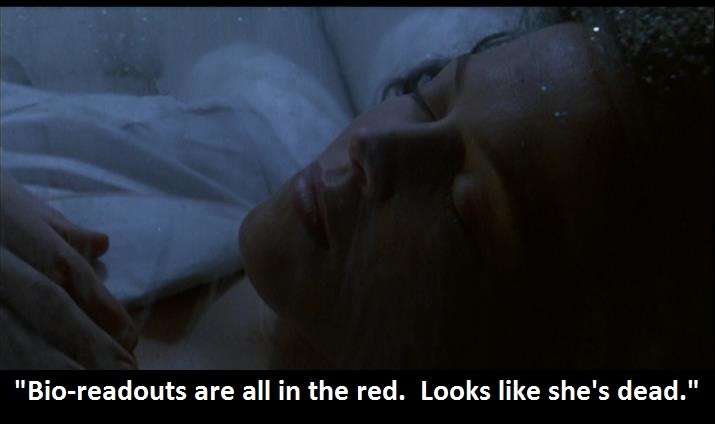 So I grabbed a screenshot of Ripley enclosed in her pod, and added an altered version of the dialogue following her discovery. The result is below. Circling Back to Show Your Work!